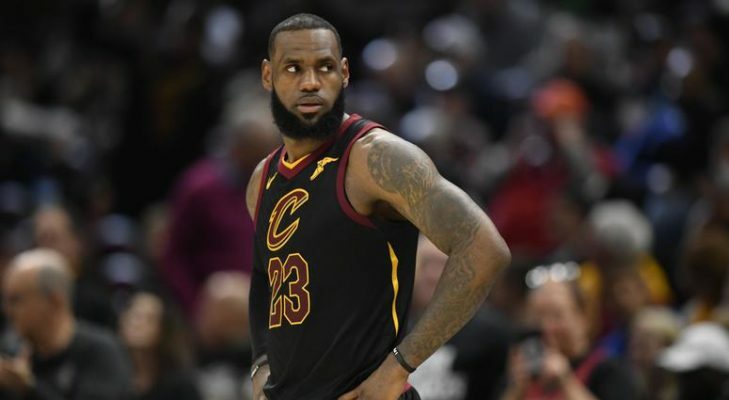 At the moment, it seems as though LeBron James is heavily considering signing with the Los Angeles Lakers when he becomes a free agent on July 1. Based on a recent report, however, there could be one hang-up regarding James’ potential future with the Lakers. “As LeBron James remains hesitant to be the first superstar to decide on the Los Angeles Lakers in free agency, pressure is mounting for the Lakers front office to execute a trade with the San Antonio Spurs to acquire disgruntled All-NBA forward Kawhi Leonard, league sources told ESPN. “Los Angeles could be risking a scenario of James staying in Cleveland or going elsewhere and the Spurs trading Leonard to a destination where he becomes comfortable and hedges on joining the Lakers next year. “James hasn’t ruled out a return to Cleveland, but his chances of staying with a reshaped and upgraded roster are murky. They added that the Cavs have indeed reached out to the Spurs regarding Leonard’s availability, but that their available assets will likely fall short of other potential deals across the league. In the end, James could very well decide that he is willing to step into the unknown and hope that his decision to sign with the Lakers will convince other talented free agents to do the same. If he doesn’t do that, it’s quite possible that the Cavs could have a real chance at bringing their star player back for another season.